Guests are met at our meeting point in Paris** and transferred by private chauffeured minibus to Panache. 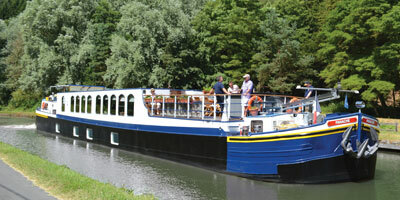 Enjoy a Champagne welcome with canapés whilst your Captain introduces you to the crew. We then embark on a short evening cruise through Paris past some of its famous landmarks and under romantic, floodlit bridges. Dinner on board. 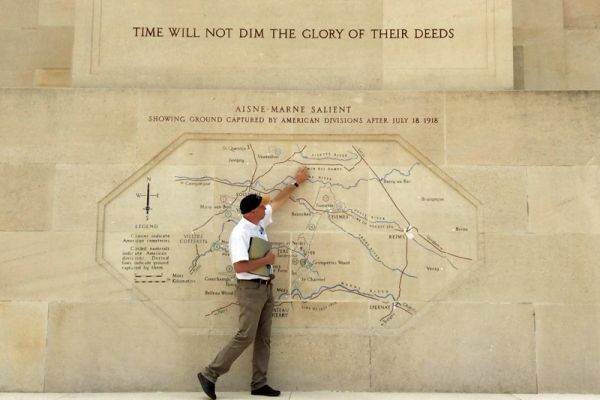 This morning we depart Paris and join the River Marne for some relaxed cruising to the town of Meaux. En route, we pass L’Ile de Franc with its ‘guignettes’, or small café-restaurants, immortalised in paintings by Impressionist artists such as Renoir. 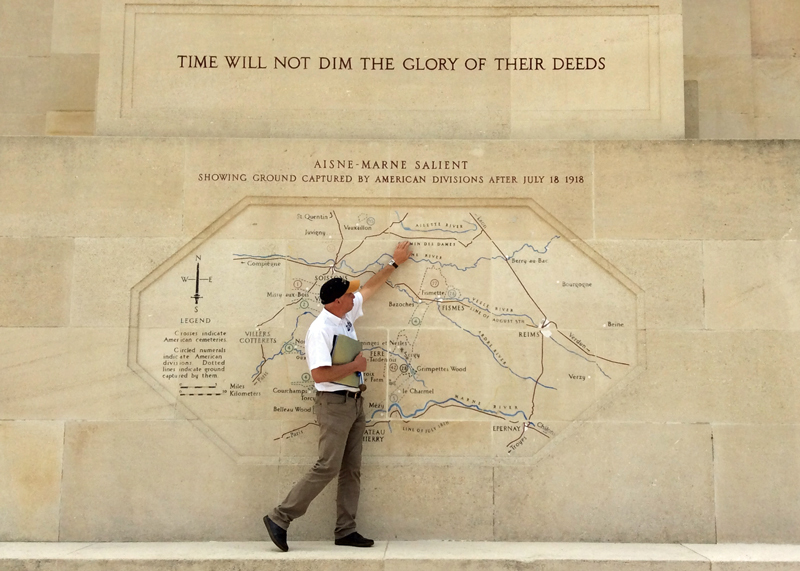 After lunch, we visit the Musée de la Grande Guerre in Meaux, a fascinating museum focussing on World War One, before some free time to explore the town of Meaux itself. Dinner on board. After breakfast, we visit the magnificent baroque Château de Vaux-le-Vicomte with its pioneering architecture that inspired Versailles. We walk through the stunning apartments with their exquisite décor and period furniture and explore the manicured formal gardens. 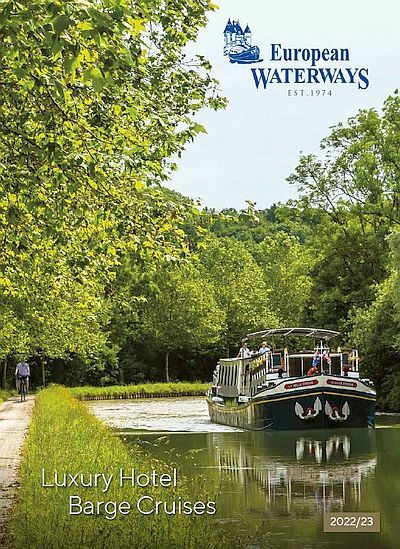 After lunch back on board, we enjoy an afternoon cruise further upstream to Courtaron, near the little town of La Ferté-sous-Jouarre, built on the site of a 9th century fortress. Dinner on board. We are now in the Champagne region. 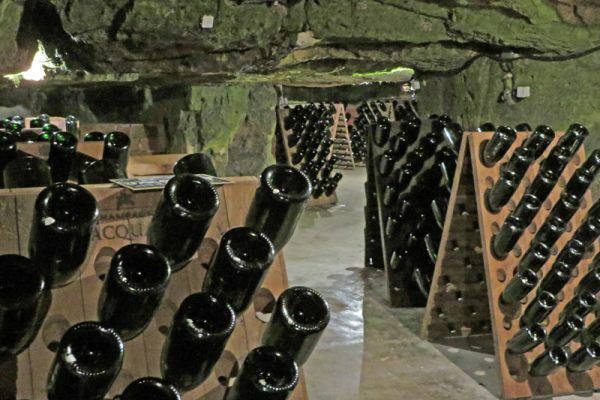 After a leisurely breakfast on board, we visit the domaine of Champagne Henriot, one of the oldest family owned houses in Champagne, originating in the late 1700s. En route, we stop at a Henriot vineyard on the hillside above Epernay where we are met by one of their viticulture experts who will explain how their selected grapes create the house style. We then move on to the beautiful Château Les Aulnois in the nearby village of Pierry where, after a private tour of this 18th Century manor, we enjoy an exclusive tasting of various Henriot champagnes before a gastronomic lunch in the château’s dining room. Dinner on board. 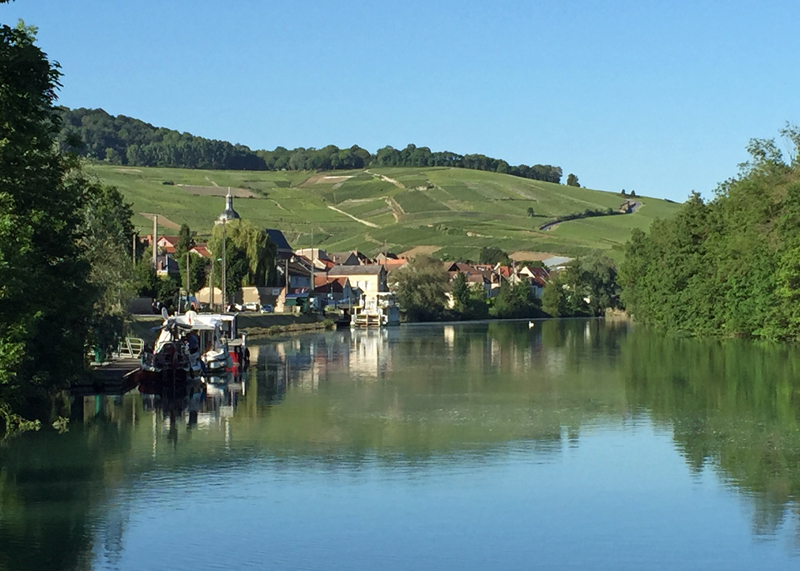 This morning we continue our cruise along the beautiful River Marne, passing through the champagne vineyards to our mooring at Dizy near Epernay. After lunch on board we visit one of the best known Champagne houses in the world, Moët & Chandon, founded in 1743, where we are guided through their vast underground cellars, the largest in the region, which were carved out of the chalk to offer the maturing wine the perfect temperature and humidity. This is followed by a tasting of some of Moët’s renowned vintages in an elegant private salon, hosted by an experienced cellar master. 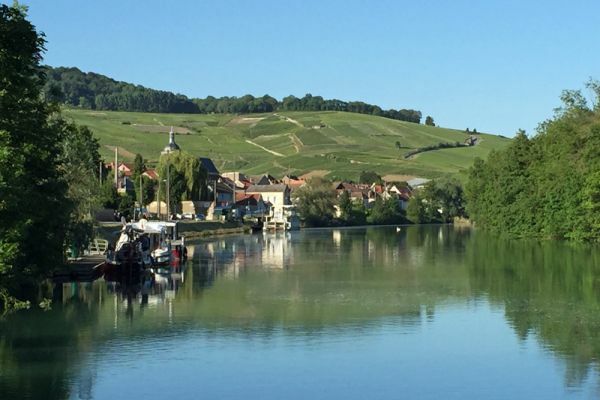 A serene afternoon cruise along the tranquil waters of the Marne is followed by dinner on board. This morning, we visit the magnificent 800-year-old Reims cathedral, a Gothic masterpiece where the Kings of France were crowned, before some free time perhaps to wander around this delightful city with its grand squares and elegant shopping arcades. After lunch, we cruise along the Canal Lateral à la Marne to our final mooring in Condé-sur Marne, with good cycling opportunities along the way. Captain’s Farewell Dinner on board.